“The Top Cruise Destination in the Eastern Caribbean, Bahamas & Bermuda in Cruise Critic’s Cruisers’ Choice Destination Awards has been awarded to the Dockyard Cruise Port for the second consecutive year,” Minister of Public Works David Burch said in the House of Assembly today [July 27]. “This award should be recognized and celebrated by the whole of Bermuda. We should be proud of the enormous efforts that are being made every day to ensure our visitors experience is enjoyable and Bermuda remains their destination of choice,” the Minister said. Mr. Speaker, I rise today with a most pleasant task – to advise this Honourable House of yet another accomplishment in the West End which was facilitated by the West End Development Corporation. The Top Cruise Destination in the Eastern Caribbean, Bahamas & Bermuda in Cruise Critic’s Cruisers’ Choice Destination Awards has been awarded to the Dockyard Cruise Port for the second consecutive year. The awards are based exclusively on consumer ratings and reviews posted to the Cruise Critic website during the year – so specifically – first-hand feedback from cruise passengers. The Ministry of Public Works. Department of Marine & Ports both Pilot and Ferry service. Taxi and Mini bus operators. Tour operators both land and sea. Anyone else that made this award possible. Mr. Speaker, no I did not forget WEDCO. I thought in this case I would offer special congratulations to the Board, Management, staff and contractors who make not only the Cruise Port operate efficiently but also the tremendous work they continue to do every day with the entire Dockyard infrastructure. 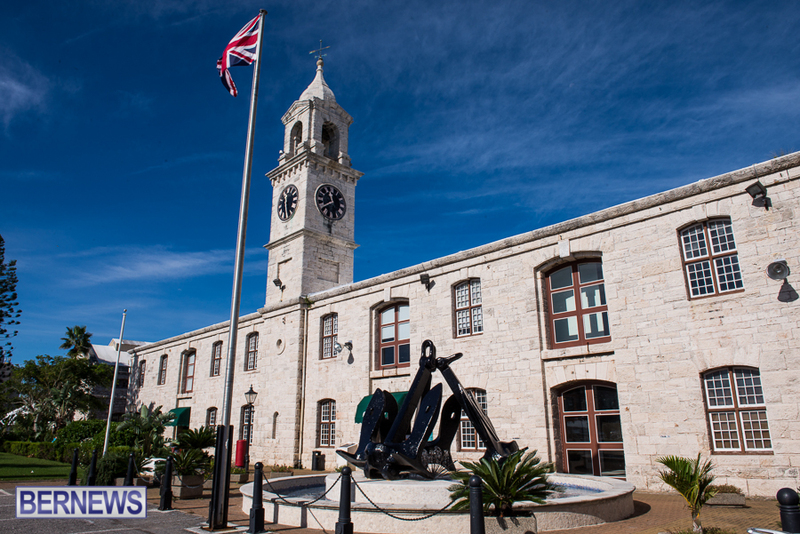 For anyone who has not visited the former Royal Naval Dockyard recently they need to. Dockyard is truly a world class destination in itself. It is home to an extensive arts and crafts community producing products which are made here in Bermuda. There is amazing shopping, restaurants, entertainment and tours all within the vista of Historical structures. WEDCO this week launched Destination Dockyard – an entertainment extravaganza – happening every Monday night for the next 14 weeks. All of the above mentioned attractions add to our visitor experience and the award is validation of their approval. Mr. Speaker, this award is an example of what can be achieved when different entities work together with a common goal of servicing our guests. Mr. Speaker, that statement sounds simple but facilitating many Government departments, their objectives in conjunction with dozens of private sector businesses requires hard work and at times sacrifices by all parties. So to the entire Dockyard Community I say well done, congratulations and keep up the good work. Burch is the best thing since sliced bread and all he says is right and the sun shines brighter when he’s in the room. Oh and anything OBA might have done to help achieve this is evil and twisted. Didn’t you know? All the improvements happened yesterday! Ah yes Col. Burch, the man that just won’t go away. He’s the PLP’s biggest liability. Any chance the America’s Cup had anything to do with this award? Have you noticed how OBA appointees get fired for telling the PLP the truth, while a PLP appointee got fired for forging a document and breaking the law? I agree, Dockyard is a beautiful place to visit and so is most of the island. Only wish we could cut back regularly the overgrown grass and trees growing by the road side (privatize). We could also use quite a few more trash bins along the way, possibly get the school children /art camps to decorate. Ever notice all the trash along the roadside and in the bushes? One doesn’t need to look that far.